[S2662] Andrew Burdett, family web site titled "Our Northern Roots", http://www.ournorthernroots.com/index.php, viewed Jan 2016. [S2672] 1880 US Federal Census, Lake, Wabasha County, Minnesota, digital image Ancestry.com ; National Archives micropublication, Francis Burdett head of household, roll 635, enumeration district 176, page 412C. 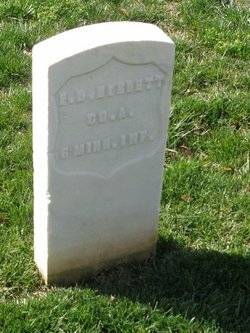 [S4632] US National Homes for Disabled Volunteer Soldiers, 1866-1938, online image database transcription, digitized by ancestry.com Operations Inc, 2007 Ancestry.com . (Original publication: Department of Veterans Affairs Historical Register of National Homes for Disabled Volunteer Soldiers, 1866-1938, National Archives Microfilm Publication M1749.). [S2181] Find A Grave: Mountain Home National Cemetery, Johnson City, Tennessee, Frank D Burdett, created by US Veteran's Affairs, added Feb 2000, memorial number 437123. [S2162] Dm01247, family tree titled "Marko Family Tree", published by Ancestry.com, www.ancestry.com, from database named 26244038, viewed Jan 2016. 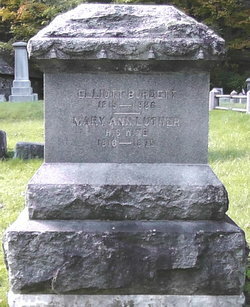 [S2069] Find A Grave: Boardman Cemetery, Whitehall, New York, Mary Ann Luther Burdett, created by Bard Destromp, added Oct 2010, memorial number 59990527. [S2069] Find A Grave: Boardman Cemetery, Whitehall, New York, Elliot Burdett, created by Bard Destromp, added Oct 2010, memorial number 59990515. 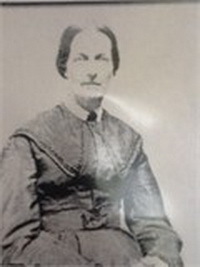 [S2162] Dm01247, family tree titled "Marko Family Tree", published by Ancestry.com, www.ancestry.com, from database named 26244038, viewed Jan 2015. [S2069] Find A Grave: Boardman Cemetery, Whitehall, New York, Mary C Burdett Havens, created by Barb Destromp, added Oct 2010, memorial number 59990911. [S2069] Find A Grave: Boardman Cemetery, Whitehall, New York, George F Havens, created by Barb Destromp, added Oct 2010, memorial number 60690748. [S2164] 1880 US Federal Census, Chester, Warren County, New York, digital image Ancestry.com ; National Archives micropublication, Sanders Ferriss head of household, roll 941, enumeration district 113, page 36A. [S1930] Iowa, Marriage Records, 1880-1940, online image database transcription, digitized by Ancestry.com Operations Inc., 2014 Ancestry.com . (Original publication: Iowa Department of Public Health State Historical Society of Iowa, Des Moines, Iowa. ).